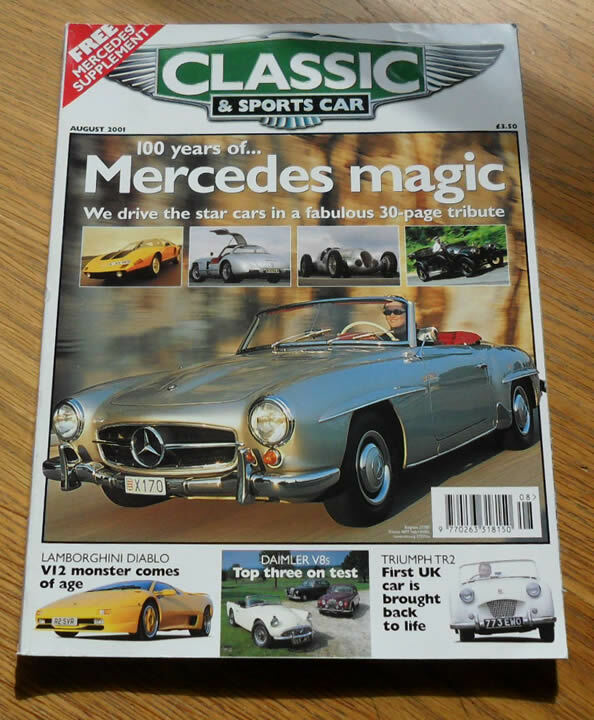 August 2001 of the British Magazine, Classic and Sports Car. 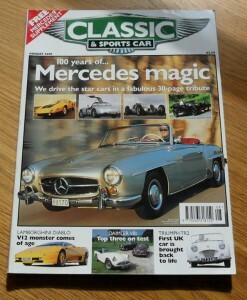 The cover feature of this issue is the Mercedes 100 year anniversary. Other articles include items on the Triumph TR2, Lamborghini Diablo, Daimler V8s, Zagato Ferrari 250GT, Austin J40 and many more. We will ship worldwide.. UK is only £2.50, Europe is £6, America and Canada £10.all other Countries please email for a quote.